One of the films that created a huge buzz at this years TFW was the Robert G. Hall directed FEAR CLINIC starring the immortal Robert Englund it will be released in 2015 but had it’s world premiere this week at Screamfest. Well ICYMI a new poster has been unveiled and we have it for you to see. Anchor Bay’s upcoming release of FEAR CLINIC, is the latest excursion into unrelenting terror from acclaimed makeup effects wizard and writer/director Robert G. Hall (Lightning Bug, Laid to Rest, ChromeSkull: Laid To Rest II). Starring horror legend Robert Englund, FEAR CLINIC had its world premiere at the Screamfest Film Festival in Hollywood. Written by Aaron Drane and Robert G. Hall (Laid to Rest) and directed by Hall, the film stars Robert “Freddy Krueger” Englund, Fiona Dourif, and Thomas Dekker and features the acting debut of Stone Sour and Slipknot lead vocalist Corey Taylor. 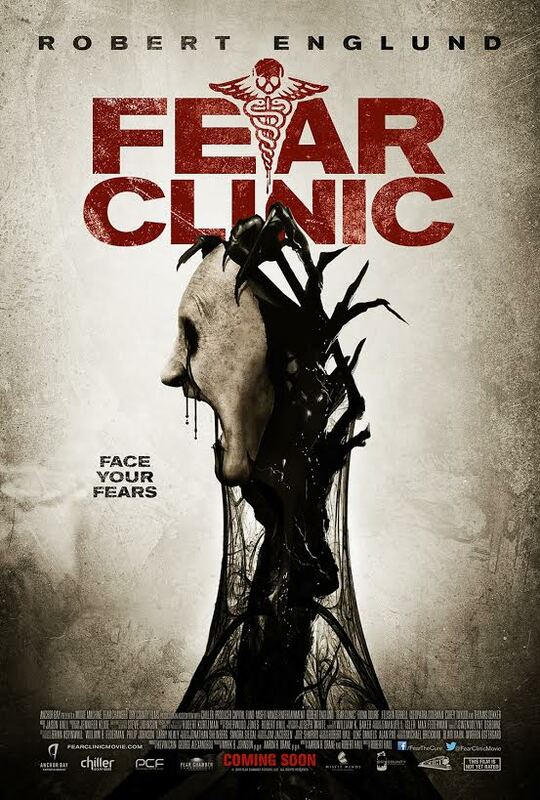 Enjoy the one sheet and look for more from FEAR CLINIC as we get closer to the release.